Plateau United is leaving little doubts in the mind of some skeptics who thought the Peace Boys’ drive for the title would have fizzled out at this point. The Kennedy Boboye led side has taken another bold step in their quest by sharing the spoils in Kano. 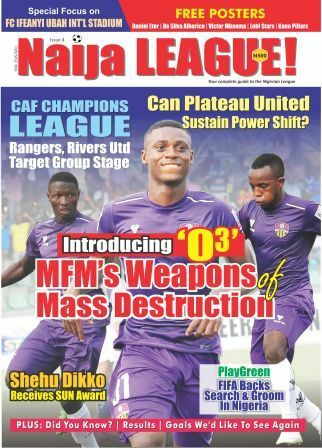 This has definitely improved their chances, more so that MFM also had a draw, at home. This significant point from the Pyramid City takes them to 59 points as they head back to Jos to entertain second placed MFM FC. Abia Warriors hit man left the Super Eagles camp in Kano in a bid to help fortify his side to victory. He did. His brace contributed to the 2-4 demolition of Lobi Stars, but it came with a cost. He ruptured his hand after nodding in his second goal and was rushed to the Benue State Teaching Hospital for further treatment. The CHAN qualifiers is almost here and one doubts if Adetunji can make it out of the sick bed early enough to be part of the national team. Abia Warriors of Umahia silenced the fans in Makurdi with a 2-4 score line which serves the Pride of Benue their first home defeat of the season. In fact it has put to an end their 100% home run this term. 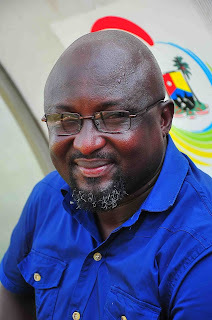 Kingsley Eduwo's braced served asconsolation for the homers, while Sunday Adetunji’s brace together with Anthony Okemmiri and Chinenye Agoha goals, each made the difference for Warriors. In our review for the Matchday, we noted that the 3 previous meetings of MFM FC and Enyimba FC have ended in stalemates. Well, this was not different, goalless. Nothing has been able to separate the both side by way of head-to-head in the Nigeria Professional Football League, safe for the fact that Enyimba are more decorated, while MFM FC are still hoping for their first premier league glory. By this time last term, Rangers, Rivers United and Wikki Tourists were the clubs occupying the outstanding top positions on the log. The circumstances are totally different this season. Rangers are on the verge of the drop zone, Rivers United are in the danger zone, while Wikki are still struggling to maintain their top flight status, considering the tight contest at the bottom. Apologists for the sides may have come up with excuses of so much commitment by way of playing on the continent as well as in the domestic scene, in tight schedules, but how well did they fare in both ends?